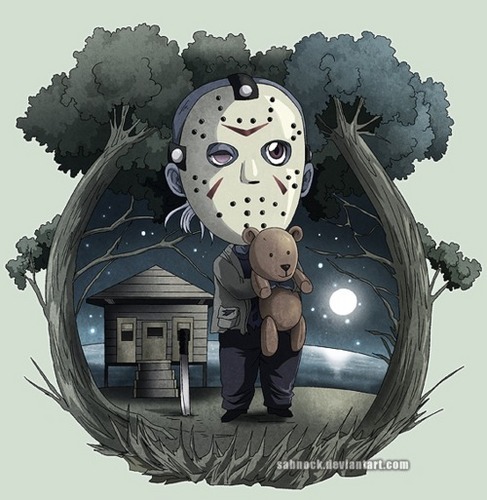 My प्रिय Tumblrs: Jason and Teddy भालू. . Wallpaper and background images in the फ्राइडे द थर्टीन्थ club tagged: friday the 13th jason voorhees fan art horror killers tumblr. There's just something about this Jason that's so cute to me. Actually the FVJ Jason in general. I agree. I thought I was the only one who thought the FVJ Jason was cute. Yet he's still so powerful, which makes him one of my favorite Jasons.